It was a dream come true for these performers. In your wildest dreams, uploading content to YouTube could become a full-time career and you're recognised around the world for your voice, comedy or even gaming prowess. 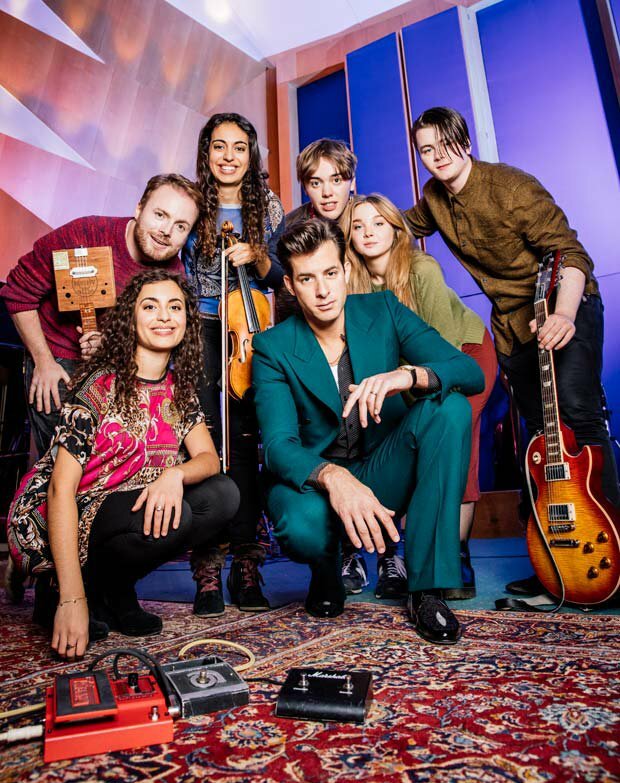 Now imagine how you would feel if you uploaded a cover of Uptown Funk to YouTube and it was not only seen by Mark Ronson, but it made him desperate to work with you - because that's precisely what happened to these six lucky musicians. As a part of MasterCard's 'Surprise' campaign, these YouTubers were invited to the iconic Abbey Road Studios in London to take part in a new documentary about Mark Ronson. But when he turned up to surprise them, they instead produced a joint cover of hit best selling song, Uptown Funk together. Speaking about the collaboration, Mark says he selected the talented performers based on their unique covers uploaded to YouTube, “I’m always affected by the fact that talented musicians and singers would take the time to figure out our songs and then post their own interpretations, and I really lucked out with the group we chose - they were all great people as well as super talented". The digital team was made up of vocalist Anna Shields, guitarists Blair Crichton and Ross Campbell, ukulele player John Atkins and cellist/violin playing sisters Laura and Sarah Ayoub. Marks discusses how it was "such a great experience to bring together six unique talents and produce this new cover of our song", and we're officially keeping these performers on our radar in 2016 as they have potential to further their talent and gain even more high-profile gigs. Mark Ronson worked collaboratively with Mastercard in celebration of the BRIT Awards, happening later this month, in which he is nominated for two very significant awards; British Male Solo Artist and British Producer Of The Year. The ceremony will be taking place on the 24th of February on ITV and will be hosted by Ant and Dec.